What are some common ethical issues that arise for private English language tutors? How are they supposed to respond? What advice exists for novice English tutors struggling to find an answer? Privately tutoring English language learners privately can be a highly rewarding experience. Among the perks, perhaps the most enticing are the flexible scheduling and the freedom to choose your clients. The pay – if you demonstrate expertise and provide valuable feedback – can also be quite nice. However, many potential pitfalls can sour the experience for both English tutors and pupils alike. 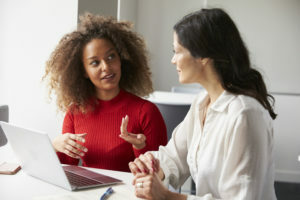 While assessing each unique situation remains essential for deciding on an appropriate course of action, more experienced ESL/EFL tutors often follow some general guidelines when approaching more complex quandaries. One resource, You, The Super Teacher: How-to Guides, Lesson Ideas, Print and Go Activities and More, a collection of trade (not-so) secrets from teacher resource database BusyTeacher.org, remains a favorite recommendation for new ESL tutors and teachers. In a thought-provoking segment titled “12 Dos and Don’ts for the One-on-One ESL Tutor,” this helpful guide offers several suggestions for dealing with common tutoring ethics dilemmas in an easily-digestible list format. It’s worth reading and considering. Here, in no particular order, are what I consider some of the better points. As usual, use or lose! In addition to setting up an appropriate “office” space and personal boundaries, it is equally crucial to establish the primary language of communication – English – upfront. If you speak the student’s native language, The Super Teacher suggests using it sparingly, especially when elaborating on particularly difficult concepts. However, when sharing personal experiences and opinions it’s best to use English. You are, after all, an English conversation tutor! Sometimes English language experts disagree. In cases were the client has misunderstood a grammar point or received problematic advice/information from their ESL classroom instructor, The Super Teacher advises against preserving misinformation. Instead, you might use these errors as opportunities to elaborate on confusing concepts. Always respect your fellow professions, but share your understanding – even dedicated English teachers make “good mistakes!” It’s also worth remembering that reference materials sometimes disagree too. “the customer is king” is an apt American saying. Establish learning priorities early on; if the student came to you to practice a specific skillset, it is best to instruct accordingly. As The Super Teacher states, “[d]on’t force them [students] to learn what they are not interested in learning.” If the goal of the client is to pass a class, the introduction of new material may impede that goal. Respect the students’ interests, time, and money. Many English language learners from different cultural backgrounds have different values and perspectives from their Western tutors. Sometimes, these differences cause confusing or uncomfortable situations. For instance, some students may bring gifts or invite you to dinner with their families. While it may seem inappropriate to accept such displays of gratitude, The Super Teacher explains that in many cultures gifts are often seen as a part of payment. Therefore, you may feel free to accept these offerings as you see fit– but “[d]on’t . . . accept gifts in exchange for completing tasks for which you are uncomfortable,” the article warns. As a university professor, I often tell classes that “I’m friendly, but I’m not your friend.” Tutoring is more personal, but I would probably use the same phrase if I ever tutored private students again. I tend to be rather conservative, so I accept postcards and candies, but not anything worth over $10. Again, use your best judgement. Additionally, The Super Teacher wisely recommends being mindful of where you conduct one-on-one lessons with students of the opposite gender. At most it may be considered taboo, or at least uncomfortable depending on the cultural environment and social context. Regardless, it’s best to limit such lessons to public spaces, and to be selective about new students. In the “Me Too” era, caution seems prudent. Many English tutors have been asked to complete the student’s work on their behalf. However, this is cheating your client out of valuable language skills practice. Instead, Super Teacher recommends modelling the assignment in an alternative exercise so that your client better understands the directions. When reviewing assignments, the article advocates avoiding explicit error correction. Instead, you might address students’ “good mistakes” by identifying overall trouble spots and asking the clients to scan for them on their own. Sometimes, clients who have missed (or skipped) a class will expect you to teach that day’s lesson in lieu of their English instructor. While you, as a tutor, are not obligated to do so, playing teacher isn’t necessarily a bad practice – as long as it doesn’t habitually encourage poor attendance. As The Super Teacher points out, “She’s paying you to teach her something, not to judge her irresponsibility.” Note: as a university professor, consider me ambivalent about this advice for English tutors, especially in editing and rewriting papers. Yet English tutors helping English students to stay in current in their often mandated English classes frequently occurs in both international high schools and university classes. Sometimes professional roles influence perceived best practices. Ultimately, while The Super Teacher makes several compelling points, my perspective and teaching style often differs. Setting objectives, creating bespoke lessons, and providing clear feedback worked for me when I tutored English. I also focus more on meaning than pronunciation as long as the students were intelligible. Sometimes helping students with just a few pronunciation pointers – and recommending they check YouGlish.com for more authentic examples of listening clips – makes a huge difference in students competence and confidence in holding natural conversations in Enlgish. Perhaps the most crucial element, however, was carefully screening potential clients. Who do you want to work with? What sort of English tutoring lessons do you want to provide? I personally prefer, for a wide range of reasons, to work with adult professionals and international graduate students seeking to thrive, not survive, in English. Advanced students – who have often already studied English for 8-12 years in school – still need to refine their language skills, but we can engage in lively, informative, and memorable conversations. For me, that’s my preferred niche. Others feel more comfortable working with intermediate or beginning students who often want/need more explicit guidance and clear models. Another friend of mine, a former USC faculty member, just works with lawyers on “Legal English”; another friend exclusives works on pronunciation issues. Some tutors focus on specific hobbies (classical music, sports) or preparing for specific standardized exams (TOEFL, GRE, IELTS). The more specialized you become, the more you can often charge as an English tutor. The bottom-line, as Shakespeare so eloquently said, is “to thine own self be true.” Trust your own judgement. Respect your clients. Remember, exercising caution and setting clear expectations with clients eliminates many issues at the source. What additional advice do you have to offer novice or prospective ESL tutors? How have you handled difficult situations with tutoring clients? Ask more. Know more. Share more.